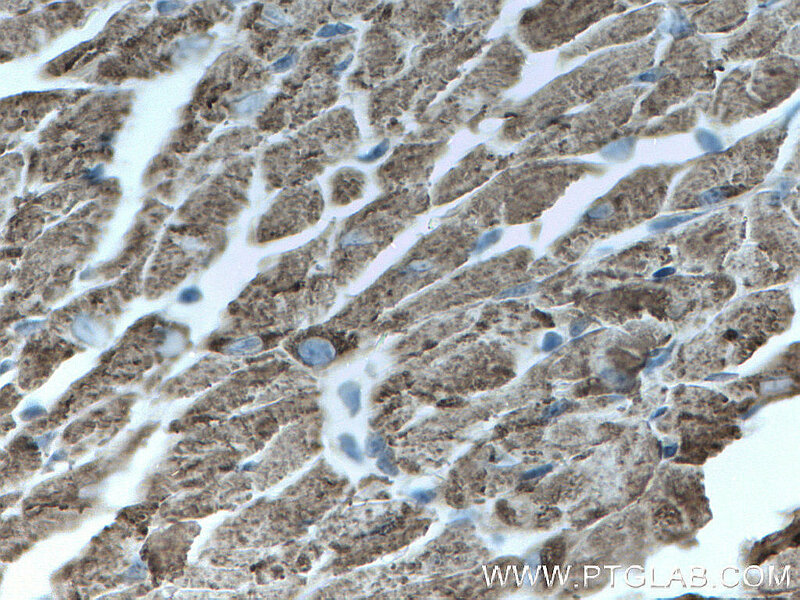 Immunohistochemistry of paraffin-embedded mouse heart tissue slide using 22170-1-AP (CPT1B-specific antibody) at dilution of 1:200 (under 10x lens) heat mediated antigen retrieved with Tris-EDTA buffer(pH9). Carnitine palmitoyltransferases (CPTs) mediate the transport of long chain fatty acyl groups into the mitochondrial matrix to undergo b-oxidation. Type I CPT resides in the outer mitochondrial membrane. 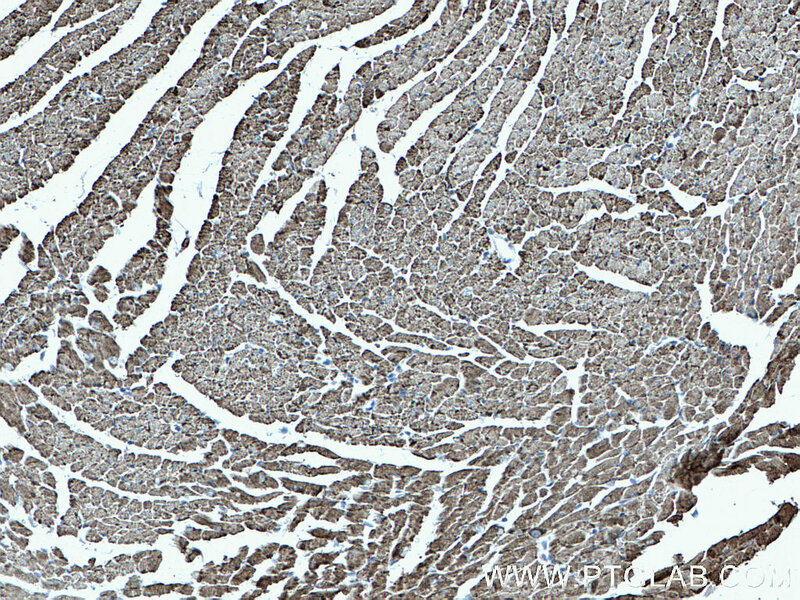 Mammalian tissues express three isoforms: CPT1A (liver), CPT1B (muscle and heart), and CPT1C (brain). 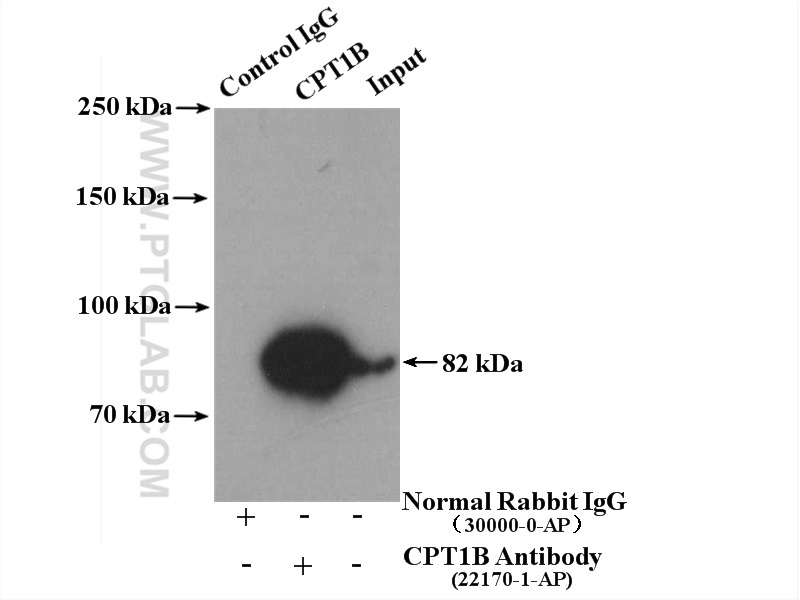 Several isoforms of CPT1B exist due to the alternative splicing, with predicted MW of 88/84/79/66 kDa. 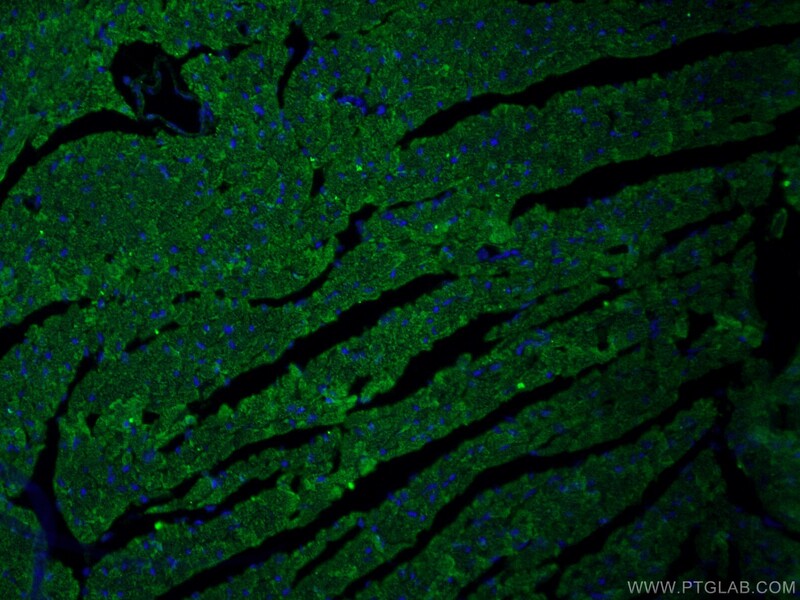 PGC-1α Participates in the Protective Effect of Chronic Intermittent Hypobaric Hypoxia on Cardiomyocytes. 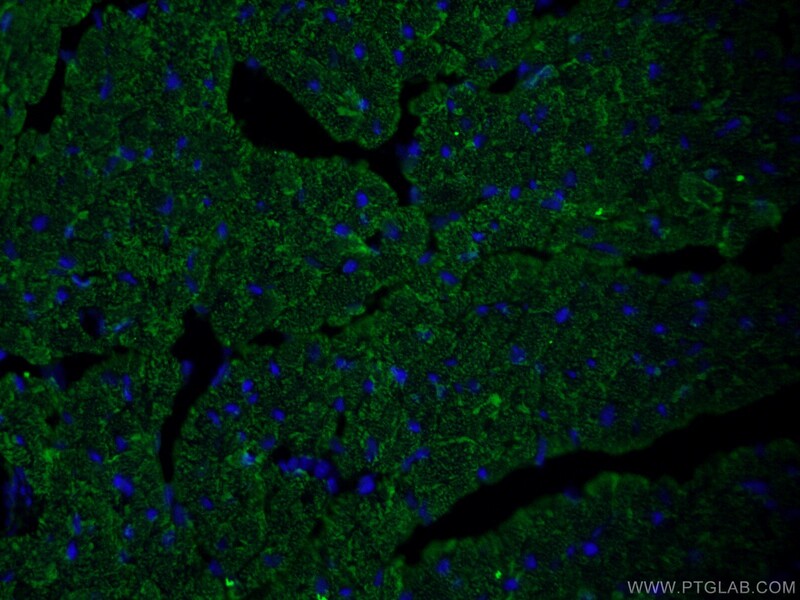 Novel metabolic disorders in skeletal muscle of Lipodystrophic Bscl2/Seipin deficient mice. TXNIP regulates myocardial fatty acid oxidation via miR-33a signaling. 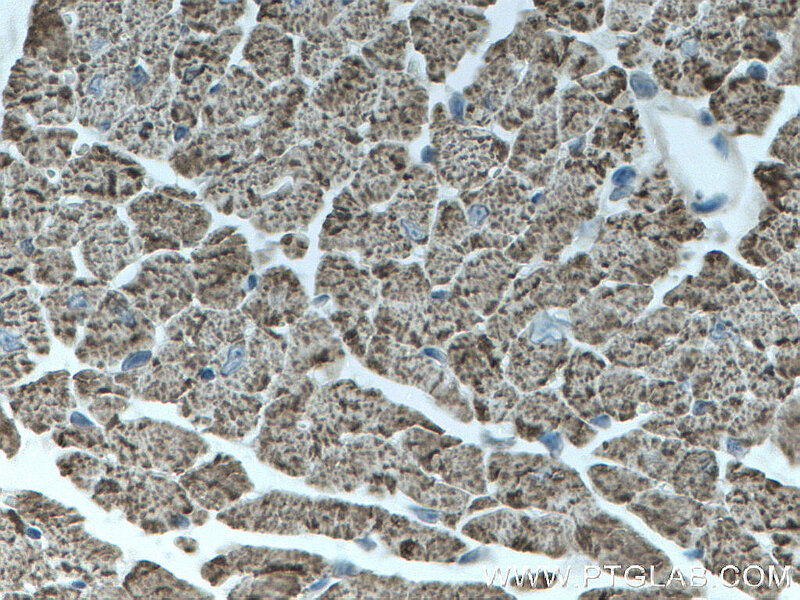 Immunohistochemistry of paraffin-embedded mouse heart tissue slide using 22170-1-AP (CPT1B-specific antibody) at dilution of 1:200 (under 40x lens) heat mediated antigen retrieved with Tris-EDTA buffer(pH9). 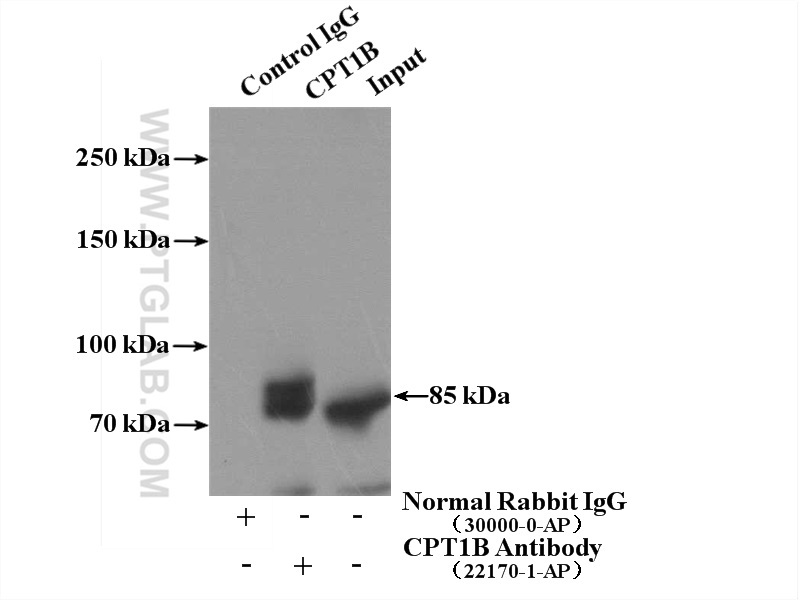 IP Result of anti-CPT1B-specific (IP:22170-1-AP, 4ug; Detection:22170-1-AP 1:600) with mouse skeletal muscle tissue lysate 2200ug.